The schedule for the 2017 Northeastern KY Bee School is set and can be downloaded here. Dr. Clare Rittschof, University of KY Department of Entomology, will be the keynote speaker. 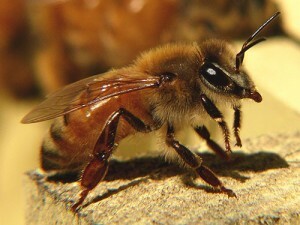 At 8:40 she will speak on how honey bees behaving aggressively can be a sign of a healthy hive. A variety of classes will be offered in the morning and afternoon for beginners and advanced beekeepers alike. Topics include: hive diseases and pests, honey bee nutrition, chemical-free beekeeping, splits, swarm control, beginning beekeeping, and many others. The Northeastern Kentucky Bee School will be held at the Mayesville Community and Technical College (1755 U.S. Highway 68, Mayesville, KY) on February 25, 2017. Registration opens at 7:30 a.m. Preregistration is $20.00 for adults, $7.50 for children 12 and under. Forms can be sent to Bobby Fore, 1338 Stevens Road, Owingsville, KY 40360 with ATTN, 2017 Beekeeping School and checks made out to Licking River Bee Association. Pre-registration ends on Feb. 22. Registration at the door is $25.00. Lunch is included in registration.